The establishment of a Farming Assistance Grant Program progressed Thursday. Committee of the whole supported a motion that would see the grant program to support new and young farmers approved for the 2018 tax year and included for consideration in the 2019 and 2020 budgets. In the first year, the program would have a maximum allotment of $40,000 which would be funded through the municipality’s tax rate stabilization reserve and disbursed through the newly created County Cultivation Corporation. If approved by council at their next meeting on July 24, applications would be accepted and funds disbursed prior to the final due date for taxes in September. Farming assistance ad hoc committee chair John Thompson and vice-chair Aaron Armstrong outlined the proposed eligibility requirements, application process, and funding thresholds at Thursday’s committee-of-the-whole meeting. Under the proposed program, new and young farmers would be eligible if they possess or have pre-registered for a Farm Business Registration (FBR) number and are engaged in farming activities on the farmland for which the grant is being requested. To receive an FBR number, the farm must have a minimum $7,000 gross revenue. Applicants must be between the ages of 18 and 39 the year the grant will be provided or have been engaged in farming activities for less than seven years. The primary occupation of the applicant must be farming. “That less than seven years will be proven by the date and year you received your Farm Business Registration number,” Armstrong said. A farm would be eligible to receive the grant if the young or new farmer is the sole proprietor, a member of a partnership, or a shareholder in a farming corporation. Owned farmland and farm structures, as well as leased land that is linked to their Farm Business Registration number would be eligible. The application process would have no cost, would be relatively simple, and would require basic information. A letter from a third-party professional would be required with the application in order to confirm the information. According to 2016 Census data, there are 432 farms in Prince Edward County. Based on that data, it is estimated about 15 per cent of those farmers are under the age of 40. It is estimated 10 per cent are new farmers, which brings the total estimated percentage of eligible farmers to 25 per cent. That would represent about 108 farmers. Based on that figure, and council’s requirement that applicants may receive a maximum of 20 per cent of their annual farm tax bill, the farming assistance ad hoc committee is proposing a total grant requirement of $39,340. That supposes an average tax levy per farm of $1,821 in 2018 with an average grant per farm of $364. Eligible farmers would receive a minimum grant of $300 up to a maximum of 20 per cent of their annual farm tax bill, whichever is greater. Based on the number of eligible farms, the ad hoc committee is contemplating total grant requirements of $44,712 in 2019 and $50,603 in 2020. The creation of the program was prompted by discussions over the last couple of years regarding the farm tax ratio. 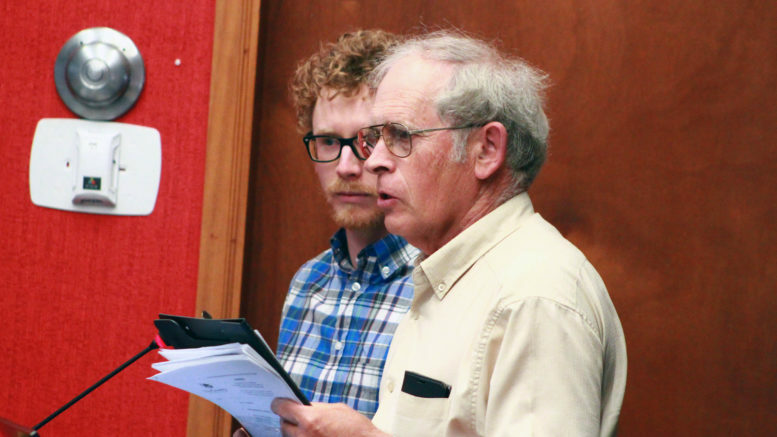 While councillors turned down adjustments to the ratio in 2017 and 2018, it was hoped a grant program could assist new and young farmers whose operations have been negatively impacted by property tax increases due to rising farmland property assessments. Armstrong noted that the Ontario Ministry of Agriculture, Food and Rural Affairs (OMAFRA) have expressed interest in the program. The proposed grant program, which was developed over the course of five meetings by a committee comprising agricultural advisory committee members, councillors, and a representative from the National Farmers Union, received significant support at the meeting. Councillor Bill Roberts commended the ad hoc committee and staff for putting the program together in such a short period of time. He suggested while the program may not be perfect, there’s an opportunity to make adjustments going forward. He said included minimum grant amounts would encourage young and new farmers — especially those with small acreages. Councillor Janice Maynard, who sat on the ad hoc committee, said the program may not have been farmers’ first choice, but she feels the result is positive. “We made a concerted effort to make sure we came up with something that was doable and at a reasonable cost and hopefully, once we gather more data, we can continue this, expand it, or find some way to continue to help this important sector of our economy,” she said.